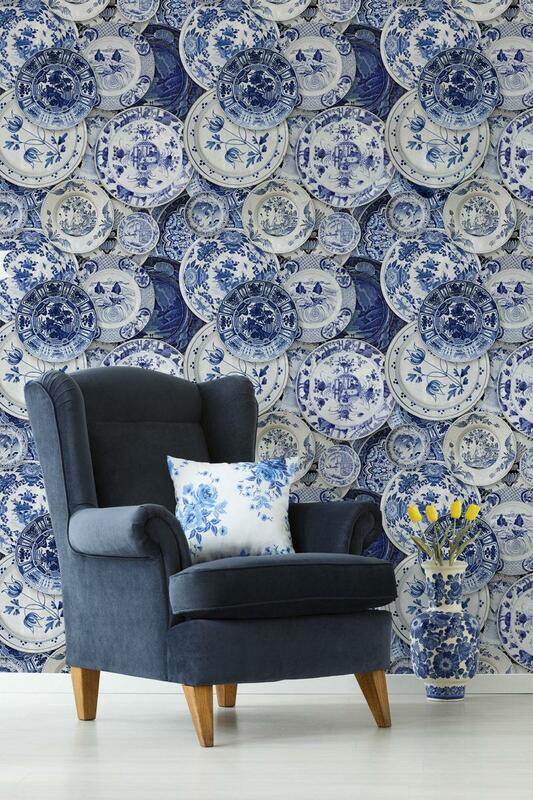 A traditional Delft pottery print wallpaper. Delft pottery or delft blue is the world famous blue and white pottery that was made in delft, the Netherlands. 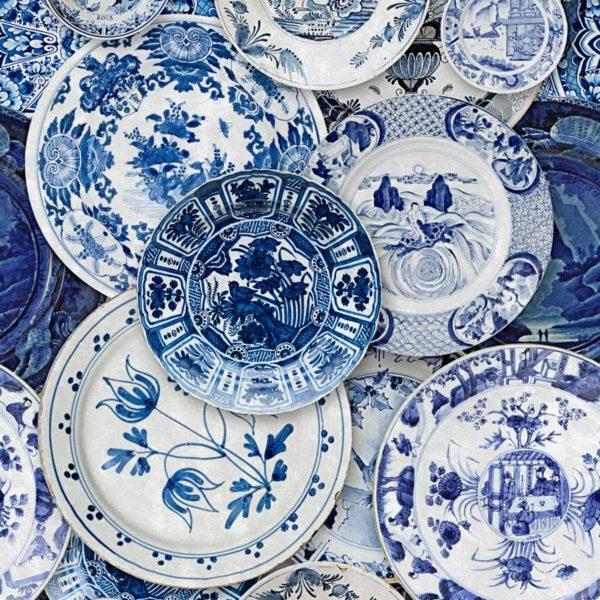 Between 1600 and 1800, it was popular among rich families who would show off their delft blue collections to one another.